2017 Toy Drive Donors – Tender Hearts Inc. 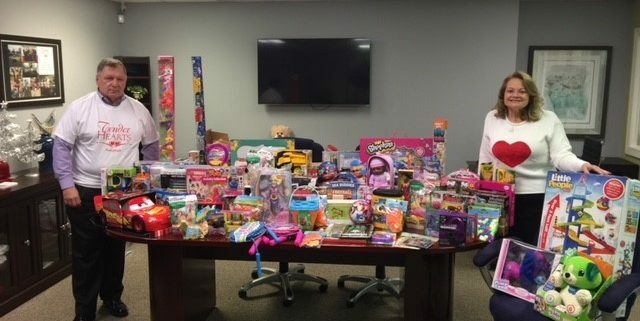 The generosity and kindness of our 2017 Toy Drive Donors helped bring smiles to the children at Nemours/Alfred I. duPont Hospital for Children. I Am My Sister’s Keeper Organization, Delcastle Cougars Football Team, Debra Toogood, Mike Doherty, Simon Eye employees and Doherty & Associates staff.